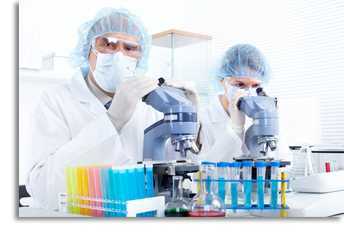 There are a number of scientific associations that scientists can join to enhance their science careers. Being a member of a professional organization gives you prestige and a reputation for being a top scientist. You can enjoy many networking and learning experiences through your membership. One of the broadest in terms of science is the American Association for the Advancement of Science—an international organization that promotes science around the world. They also publish the magazine Science. Most scientific disciplines have their own associations. The American Institute of Biological Sciences publishes journals and provides membership services for biologists. The National Weather Association has publications and meetings for operational meteorologists. Psychologists can be members of the American Psychological Association. Many professional scientific associations have student chapters that you can join as an undergraduate or graduate student. Fees are usually less than those for full members. Student members also have access to resources, such as journals and job boards. Divisions within scientific organizations exist for more specialized fields. The American Chemical Society has sections for analytical chemistry, physical chemistry, green chemistry, and many others. IEEE (Institute for Electrical and Electronics Engineers) has local chapters and sections for Circuits and Systems, the Electronic Devices Society, and the Solid State Society, just to name a few. Joining a scientific association is always a benefit to your career. Volunteering in the organization may bring you into contact with some outstanding scientists. Most associations have administrative boards and committees that need volunteers. Associations provide networking opportunities that are hard to find anywhere else. You can talk with people who speak your scientific language and understand your work. Through the journals they publish, they provide the fastest way to stay up-to-date in your field. Most associations have job boards, which are useful for any job seeker. Some associations provide grant money for research or at least have listings of organizations that have money. Other benefits of membership vary. For example, the National Weather Association has a program to receive a broadcast seal of approval, which can be displayed during a television weather forecast. Scholarships for high school seniors (and others) are available through membership organizations, as well as for graduate work and for continuing education. Most associations have job boards, giving you the best listings for job openings in your field. If you need to find a collaborator for a project, the first place to look is your scientific association. You can also use those networking contacts if you need more information about a topic that you are not familiar with. Some associations also lobby Congress for benefits for their members, and they work to educate the public on issues facing their fields.